This Folding Desk Series also designed space saving function, if you buy a Murphy wall bed not with desk, then we suggest you choose a folding desk to match the wall bed, that's convenience for study or for work. 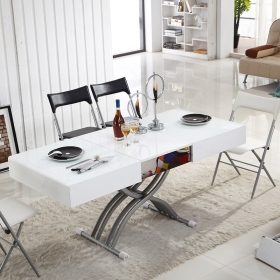 This fold up desk is easy to install and have a nice look, when hanging it on the wall and don't open, it will be a decoration for your room. 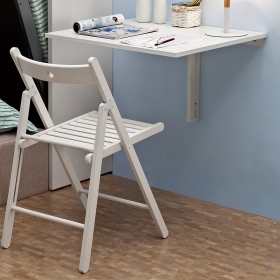 The folding desk used high quality material, then it's sturdy on the wall. Desk alway can not leave the chairs, for improve the maximum use of the room space, a folding chair is necessary for your tiny room. 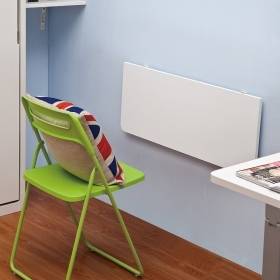 When you needn't use chairs, just hand it on the wall, that is a perfect solution for save space. These folding desk we also offer custom services, about the size and color, please contact with us.